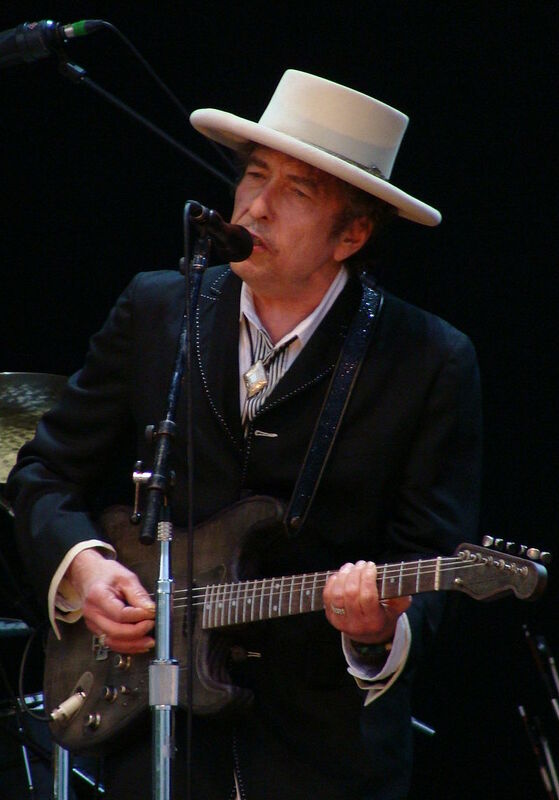 Born Robert Zimmerman in Duluth, Minnesota, Dylan reinvented himself as a latter-day Woody Guthrie and made a sensation during the folksong revival of the early 1960s with his 1963 album, Freewheelin’ Bob Dylan. Combining folk traditions with a uniquely contemporary sensibility, a charismatic stage presence, and often brilliantly poetic lyrics, Dylan was hailed by many as the Shakespeare of his generation. In 1965, he introduced electric instruments, which outraged folk fans, but opened up a new form of expression that partook of rock and roll. Dylan has remained an enduring voice in American popular music—commercially very successful, yet also well apart from corporate music making and marketing.